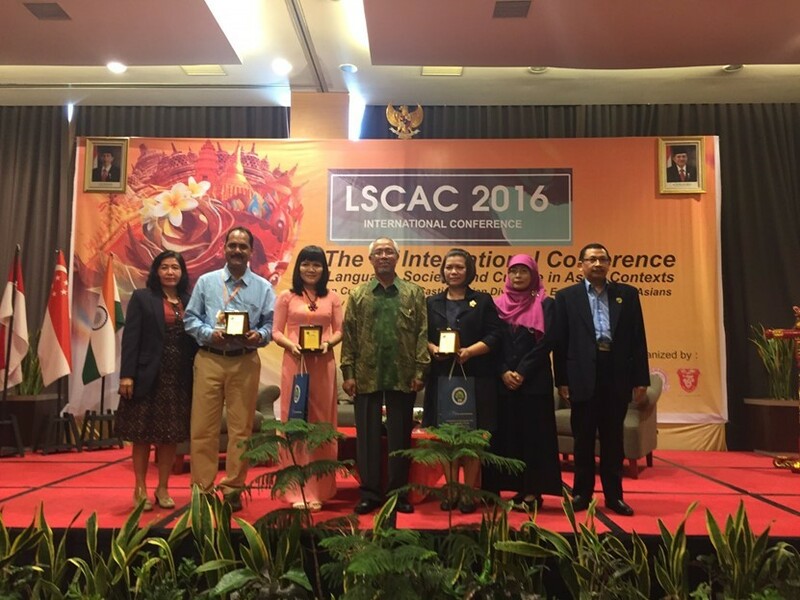 The Fourth International Conference on Language, Society and Culture in Asian Context (LSCAC) was held by Faculty of Letters in cooperation with Faculty of Education and Faculty of Social Science, Universitas Negeri Malang, on May 23rd-24th 2016 at Atria Hotel, Malang. The International Conference was attended by a number of lecturers and students from various continents (i.e. Singapore, Thailand, America, Timor Leste, Sierra Leone, Uganda, Tanzania, Indonesia, Myanmar, India, Fiji). Office of International Affairs, Universitas Negeri Malang, also delegated some of the International students to attend the International Conference aiming at building the cross-cultural understanding among the International students. Furthermore, the International Conference offered the students a good impression to study outdoors.